A recent article from NBC News takes a look at one new hip replacement procedure now being used and the history of advancements in hip replacement surgery in general. These days, a total hip replacement has become the second most common surgical procedure in the U.S., with the first being a total knee replacement. Each year, more than 300,000 hip replacements are performed in the U.S. alone. If you went to get a total hip replacement around 20 years ago, you would expect to be spending around two weeks in an an inpatient rehab center following surgery. During this time, a therapist would help you out of bed using lifts and then help you get to an exercise room where you would be told to perform a series of exercises each day. There are two main reasons for this: The first reason is that if a patient was in bed the whole time, he or she would be a high risk for developing a serious and potentially deadly clotting disorder known as deep vein thrombosis (DVT). DVT can cause a large clot to form in the veins of the legs and then the clot can break free. At this point, the clot can travel through the body’s circulatory system when it can punch a hole in the lungs. This is a serious medical condition that can and often does result in death and is known as pulmonary embolism (PE). In addition to a PE, the clot can travel to the patient’s brain where it can cut off the supply of oxygenated blood causing a stroke and possible brain death. The second reason patients stayed in the hospital so long is because there was so much damage done to the hip joint, muscle, and surrounding tissue that a patient will not have the strength to stand up and walk. There was also a fear that a patient could cause the hip implant to come loose, causing serious pain and suffering and the need for a second operation. However, even if the patient did everything he or she was supposed to do, there is little chance of success if the surgeon had unknowingly used a defective hip implant. 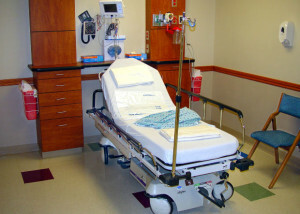 These days, doctors want to get a patient up and moving around as quickly as possible and also out of the hospital as quickly as possible, since that will seriously reduce the chance of a patient developing a postop staff infection which can happen in even the most sterile of hospital environments. This new surgical procedure uses an incision at the very upper end of the femur in a way that does not require doctors to cut the iliotibial band (ITB). Cutting the ITB results in a significant loss of strength and muscle control and is the reason patients had to be in recovery for so long. The new method that does not disturb the ITB is allowing patients to be back on their feet much sooner. In some cases, patients are even able to go home on the same day and also suffer less pain during recovery.